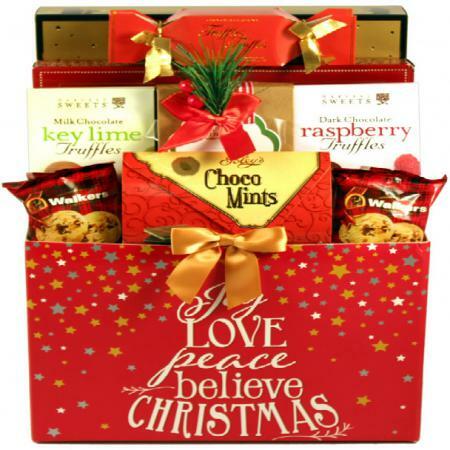 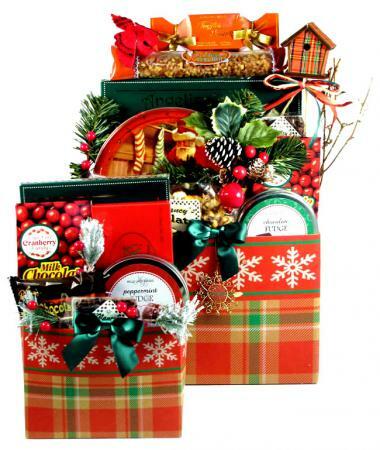 Donning beautiful holiday enhancements and festive ribbon this holiday sleigh gift box will make a memorable impact on friends, family, or that all important business relationship. 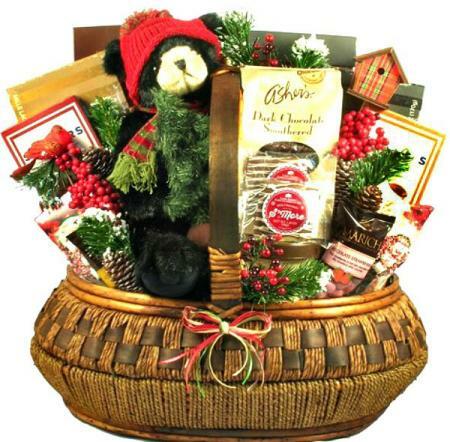 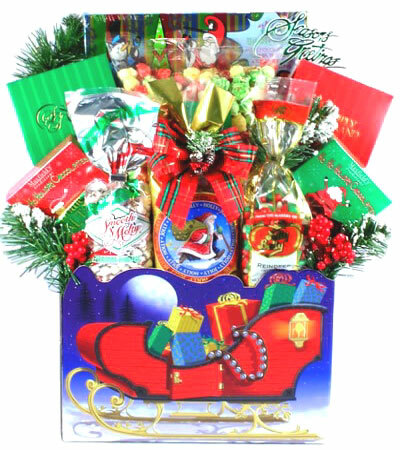 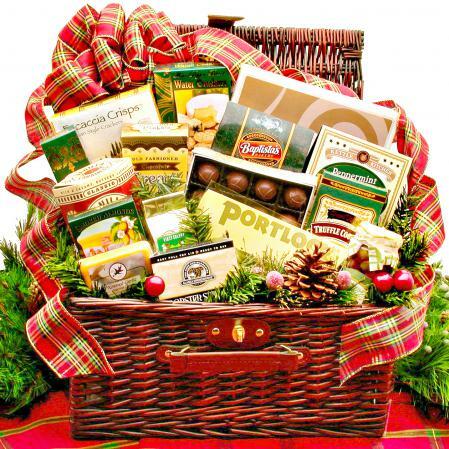 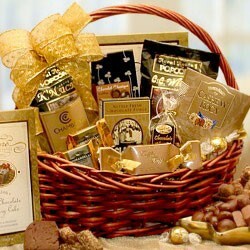 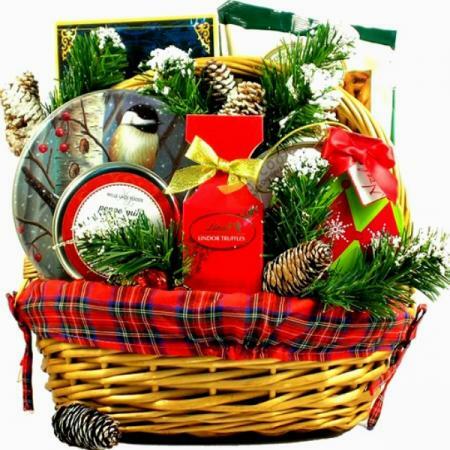 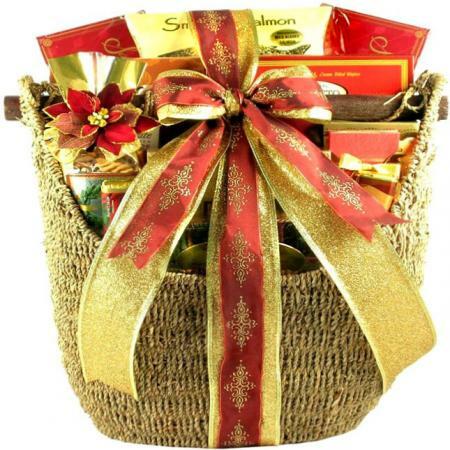 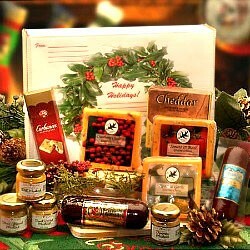 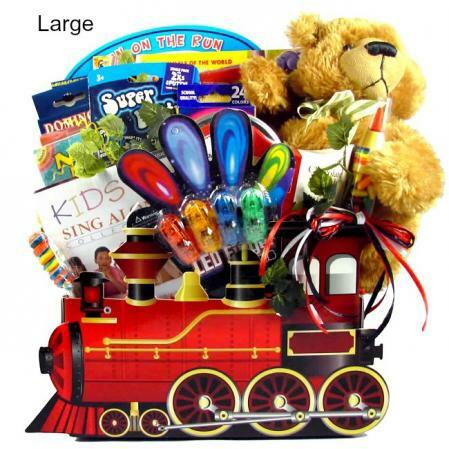 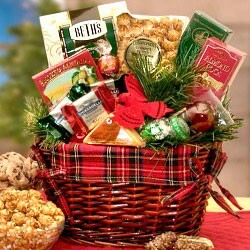 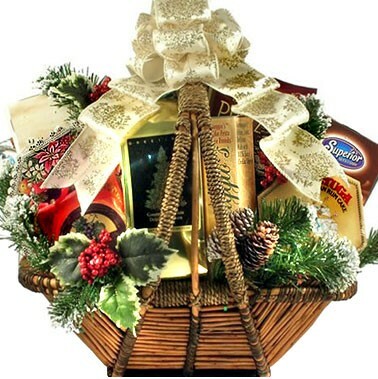 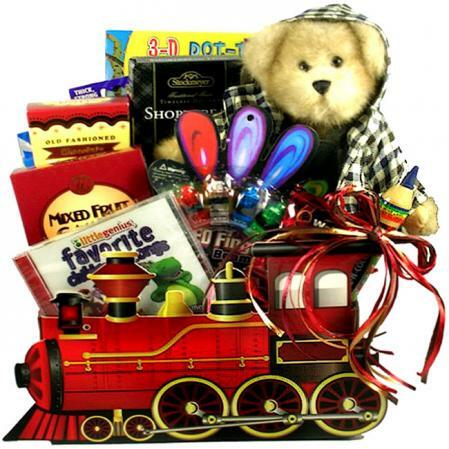 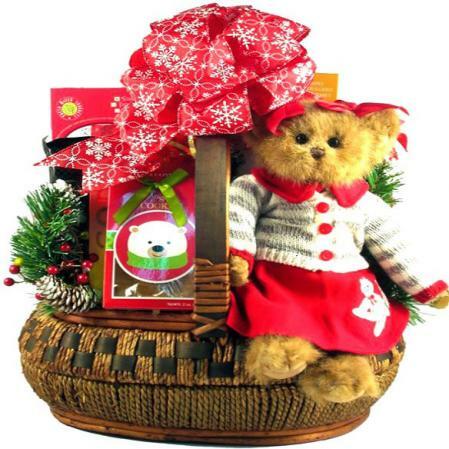 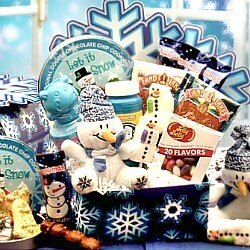 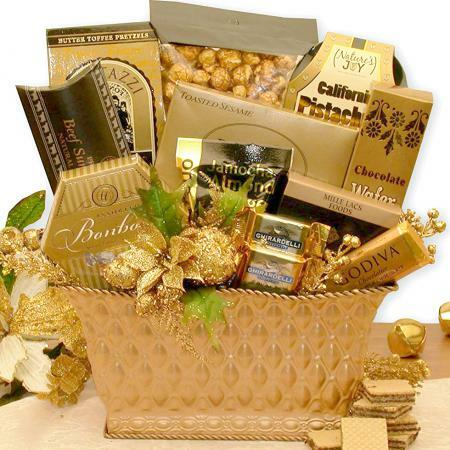 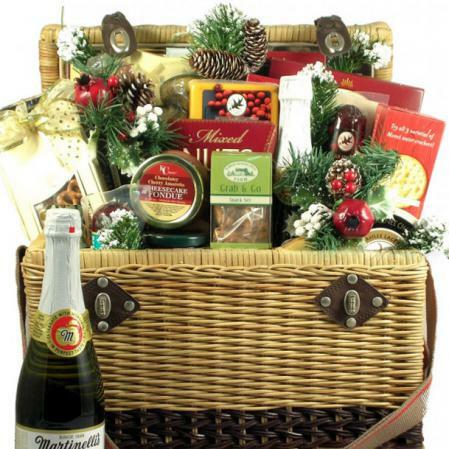 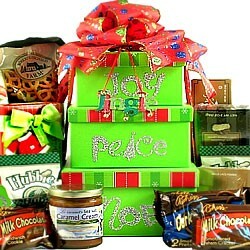 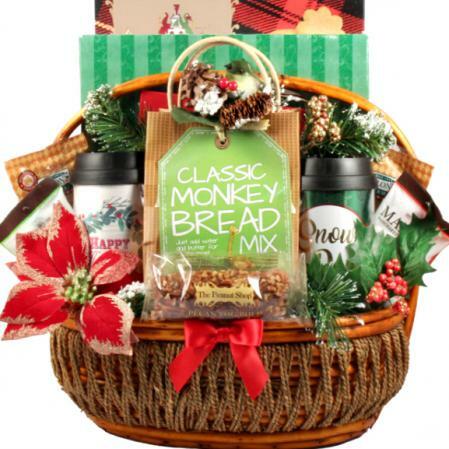 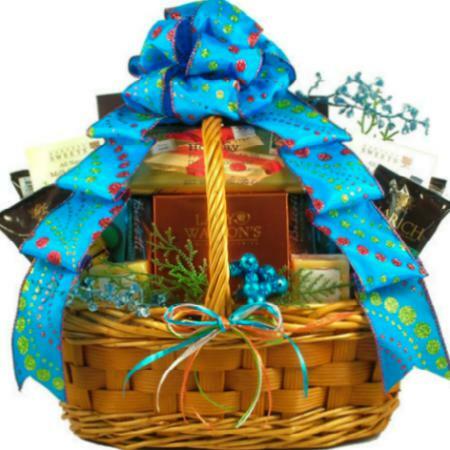 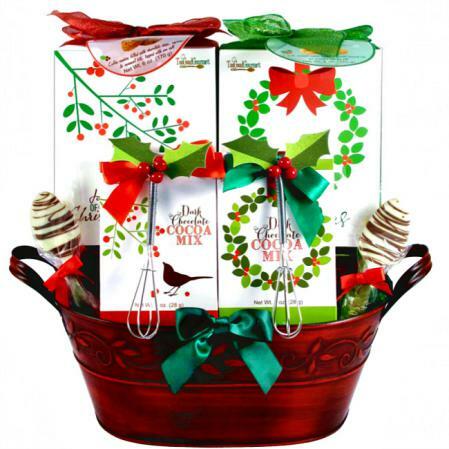 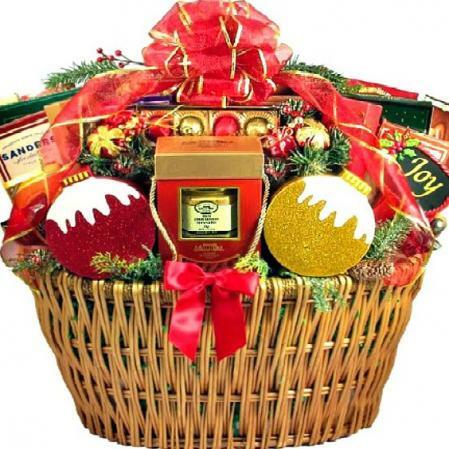 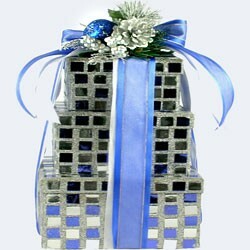 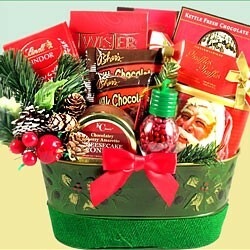 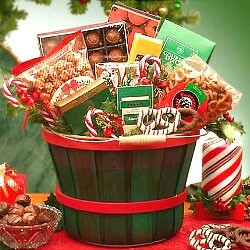 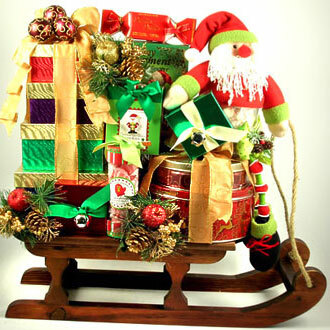 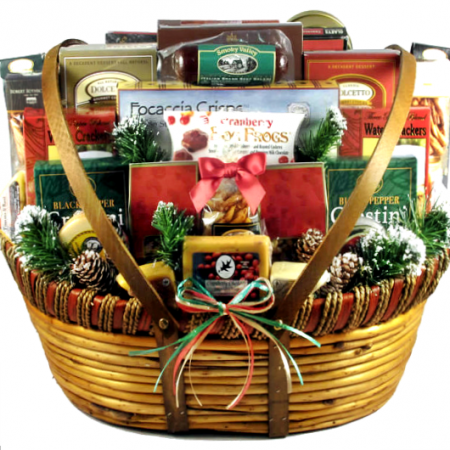 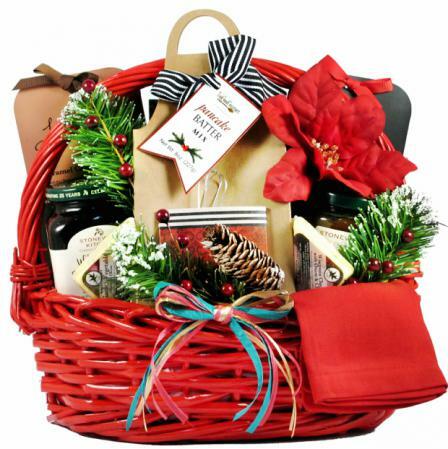 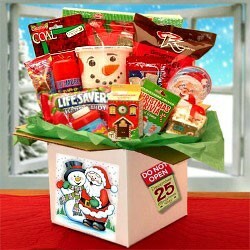 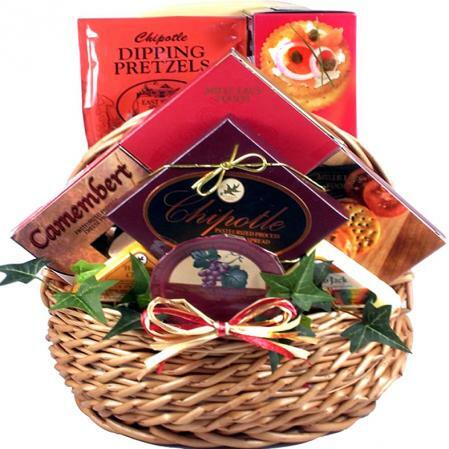 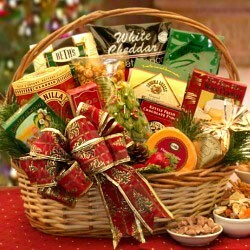 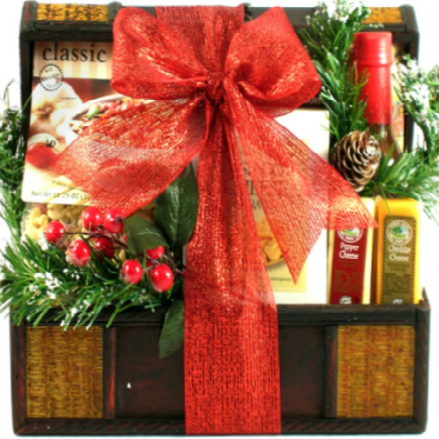 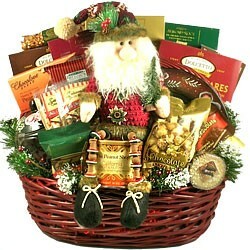 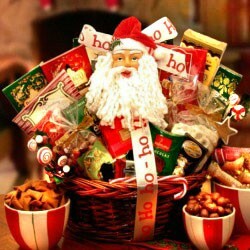 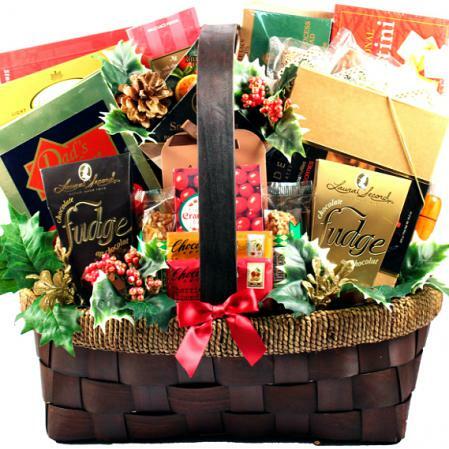 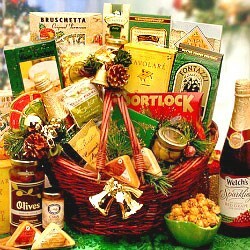 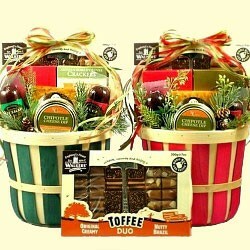 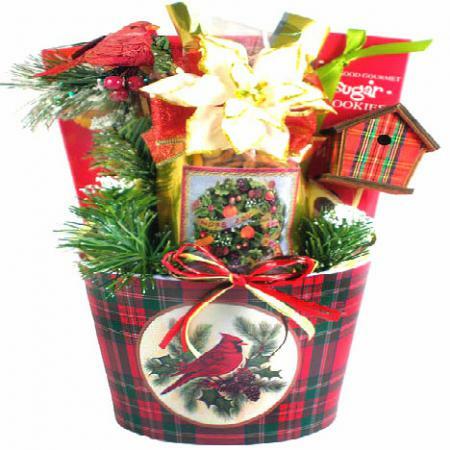 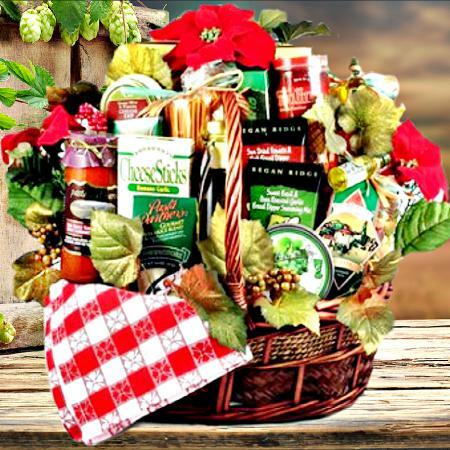 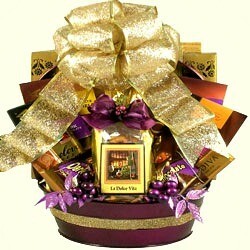 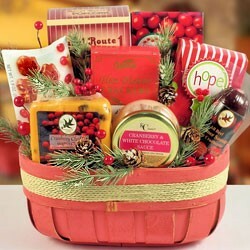 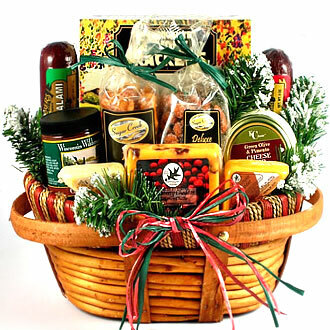 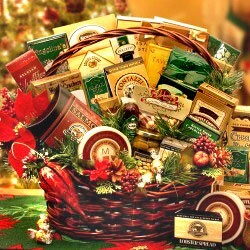 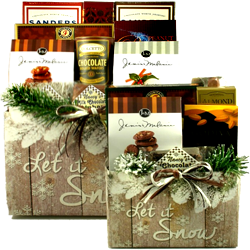 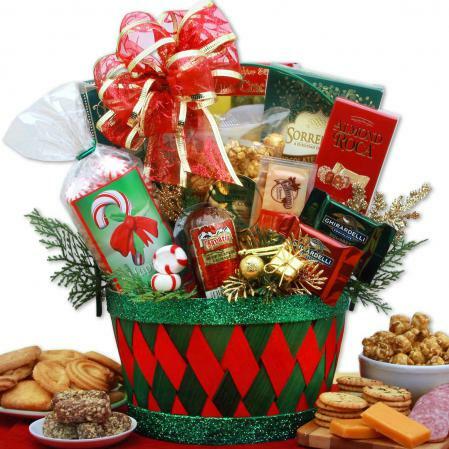 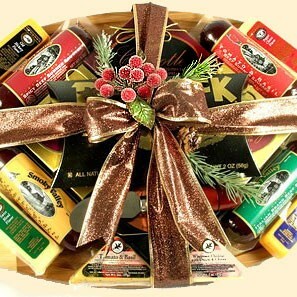 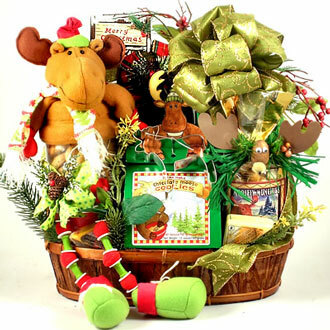 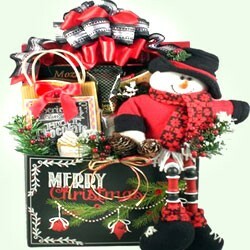 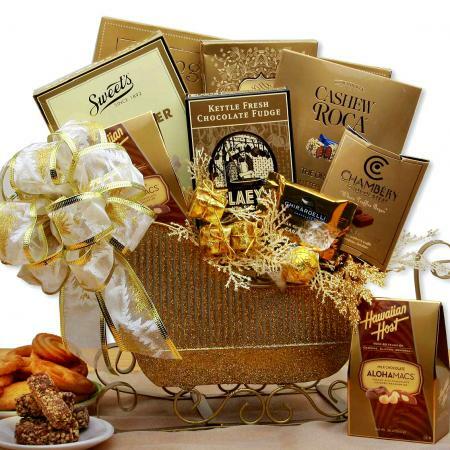 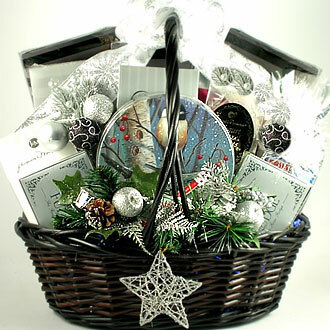 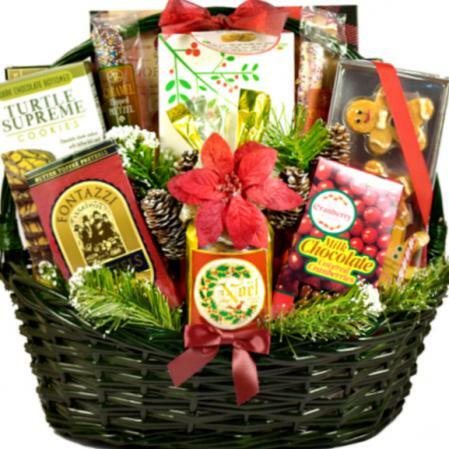 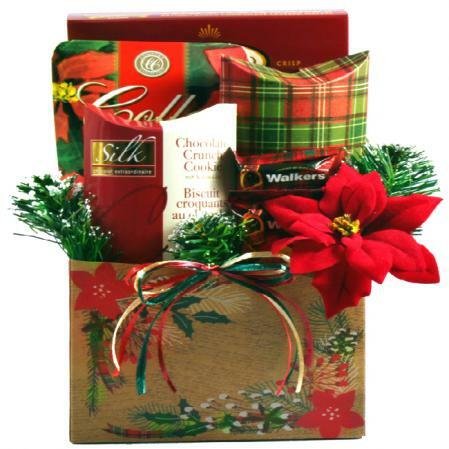 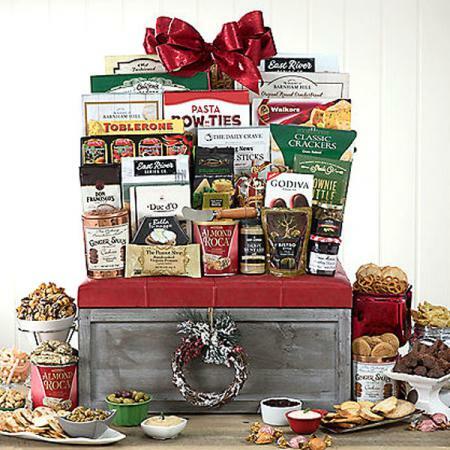 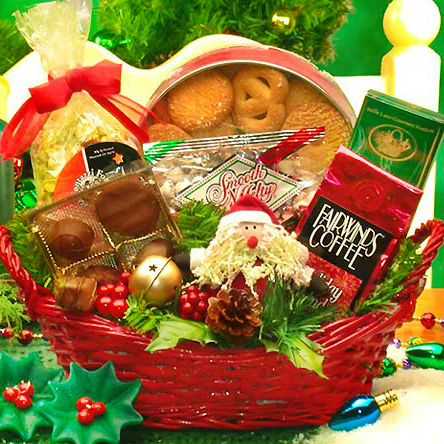 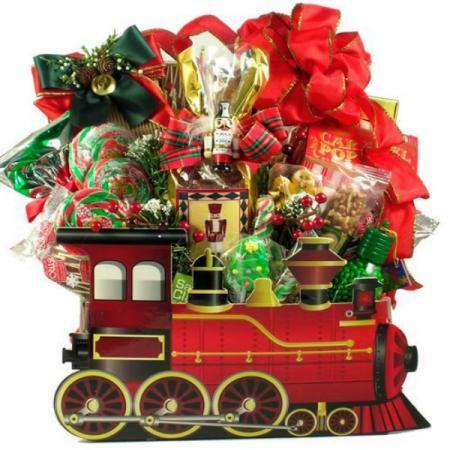 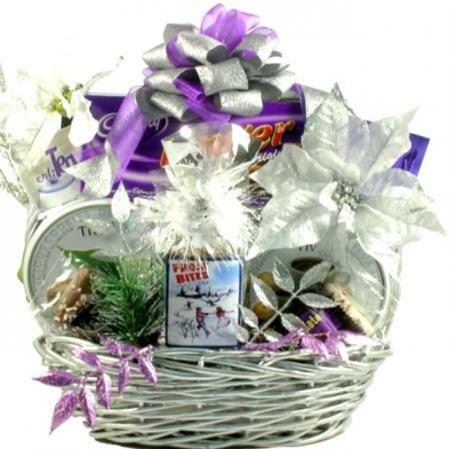 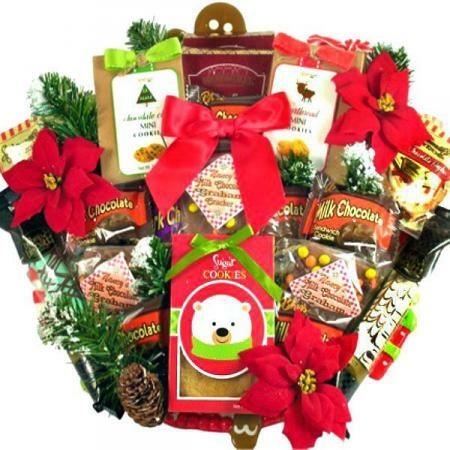 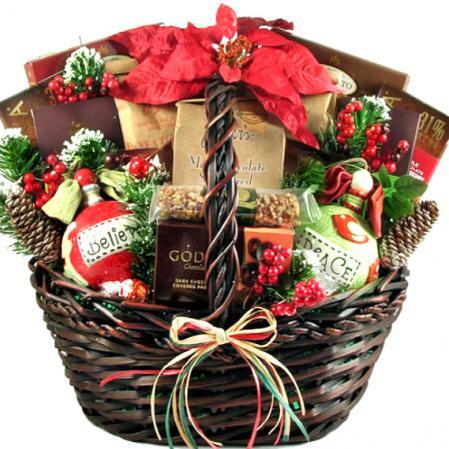 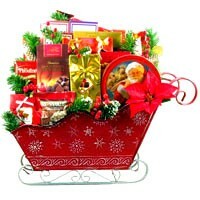 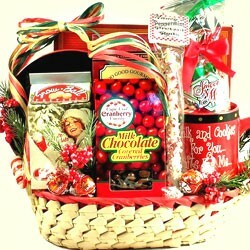 Donning beautiful holiday enhancements and festive ribbon this gift basket will WOW them. 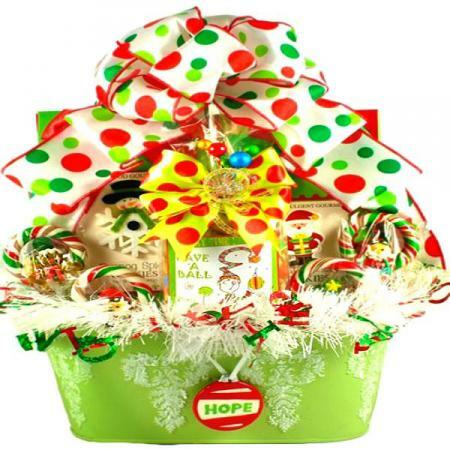 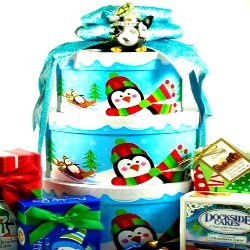 A bright and cheerful gift that is sure to be a welcome holiday treat!! 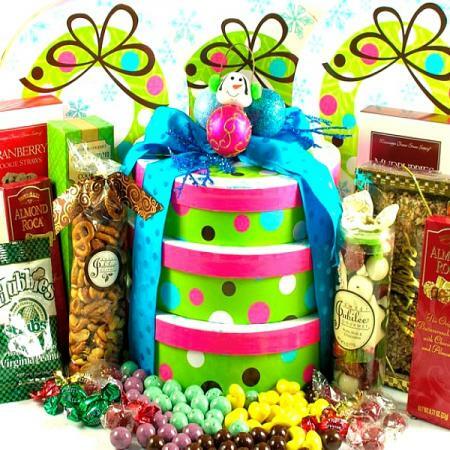 A colorful Sleigh Gift Box piled is high with ''Holly Jolly'' Vanilla Crunch Mix, Dark Chocolate Mint Delights, Milk Chocolate Cherry Delights, ''Reindeer Corn'' Jelly Belly Candy Corn, holiday Petite Mint Meltaways, Caramel Corn, Cranberry Almond Mix, Chocolate Covered Pretzels, velvety smooth truffles, box of molded Christmas Shapes in creamy Milk Chocolate, box of Milk Chocolate Mittens with Peanut Butter filling and, as a special touch, we tie a jingle bell in the bow to make sure that their "Sleigh Bells Ring" gift truly does ring!